Providing technology for those without access. July 23, 2009. Agadir, Morocco. RURAL COMPUTER LITERACY PROGRAM LAUNCHED. Ayoub El Madi, prepares donated laptop computers for the Volunteer Morocco project: Rural Computer Literacy (RCL). Ayoub conducts his training by bringing the laptops to the various rural villages in Morocco - Assaka, Ighaln, Ighil - placing 2 to 3 kids on each computer and teaching his peers the basic skills. His students are from elementary through high school aged youth and are taught how to use current operating systems, Microsoft Office, and internet browsers. These youths can in turn promote computer proficiency to their families and friends. 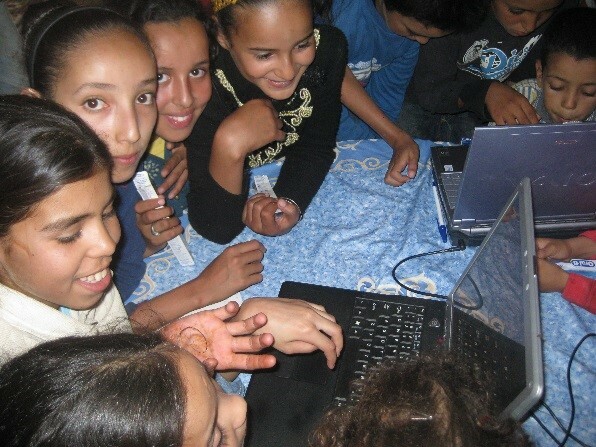 Ultimately, this computer literacy project empowers children and teenagers throughout Morocco with important hands-on knowledge, collaboration skills, and self-confidence. Everything they learn will be applicable to their school work, life at home, and goals for the future. 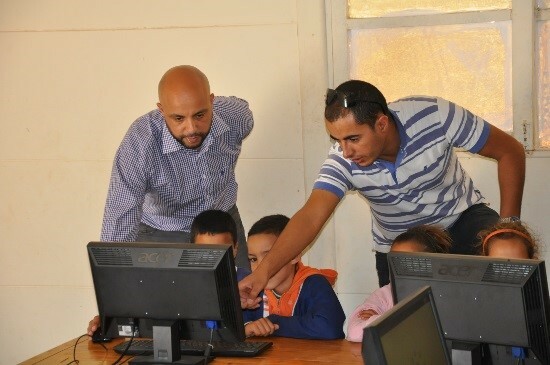 Currently Ayoub El Madi, who is studying at a college prep-school to attend grande ecole in engineering, conducts intensive computer classes for Volunteer Morocco when they go to the villages for the rural health clinics. These classes focus on how to use computers, how to access and benefit from the internet, and how to use basic computers programs like Microsoft Word and Excel. The Volunteer Morocco Computer Literacy Program relies on donated laptop computers. In recent years the computer literacy program has expanded with basic computer skills courses being taught in villages in Morocco. Volunteers are always needed to teach computer literacy courses and donated laptops are desperately needed.